Wow!!! 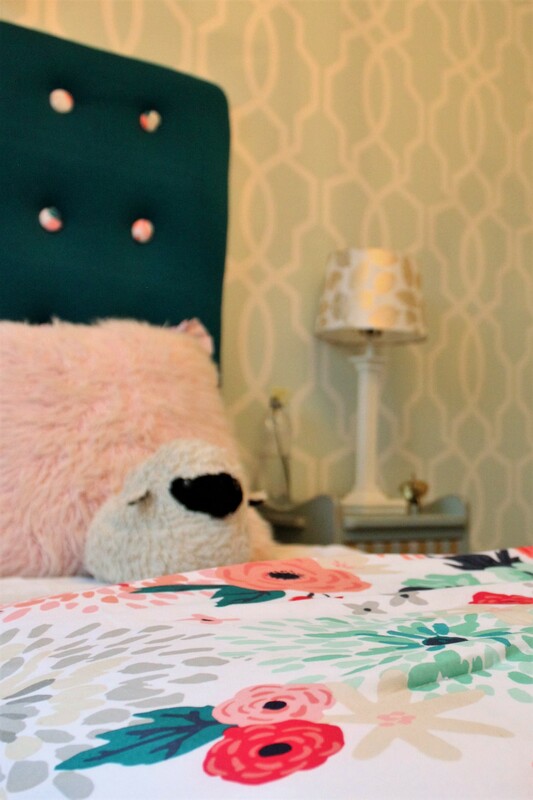 I can’t believe we are already on Week 4 of my Girls Bedroom Makeover for the One Room Challenge. It’s crazy, and although it’s been really busy, I’ve enjoyed getting all the little projects out of the way and my daughter’s bedroom is nearly finished. Although I’m pleased with the progress, I do have to confess that I haven’t been able to finish all the projects I had wanted. If only I didn’t need to sleep….I could get So. Much. Done! Lol. 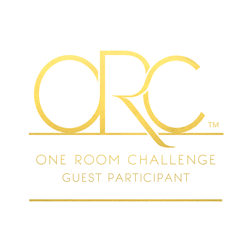 Once again, I’d like to say a huge Thank You to Linda from Calling it Home for hosting this awesome event. 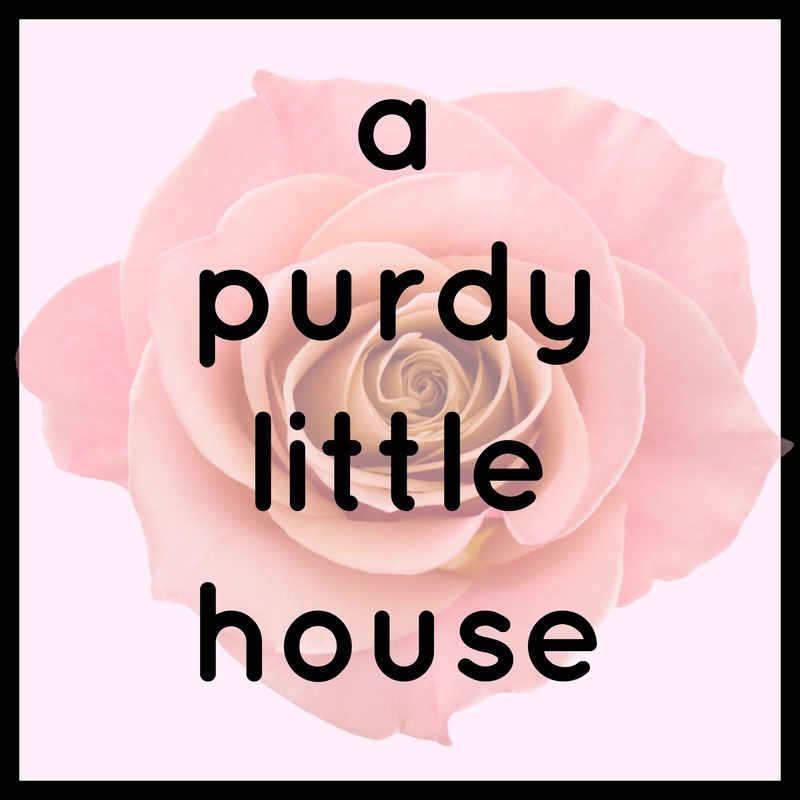 Click HERE to see hundreds of other rooms being transformed by other bloggers, along with the 20 featured designer’s rooms. 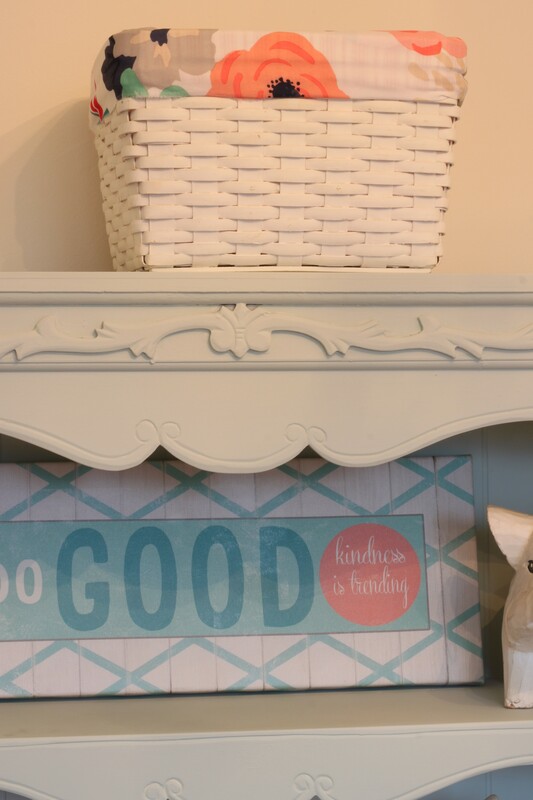 How cute is this little sign I found at a thrift store? It’s even in the perfect mint and coral colour scheme. My husband found this elephant on amazon for a steal, and he bought it for me for Christmas knowing I could do something fun with it. Well, I decided to paint it coral and hung it above my daughter’s bed. 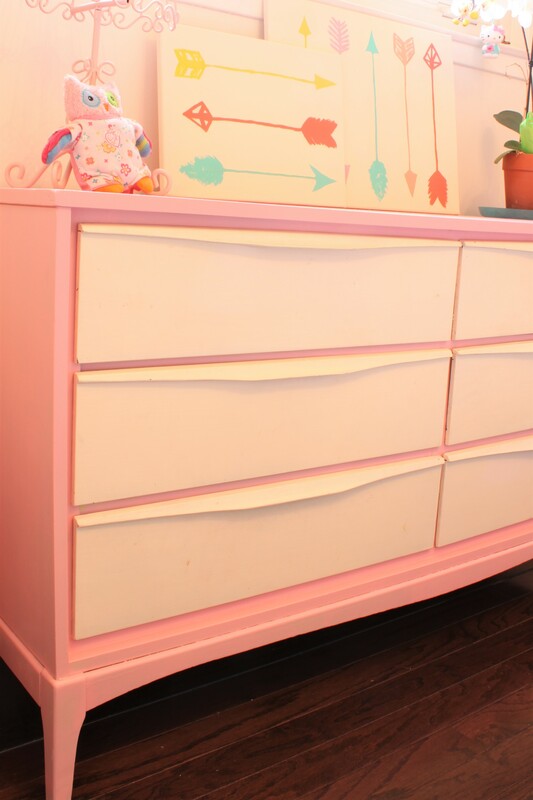 Another project I was able to check off my list was completing this dresser transformation. I picked this up almost ten years ago for $10! 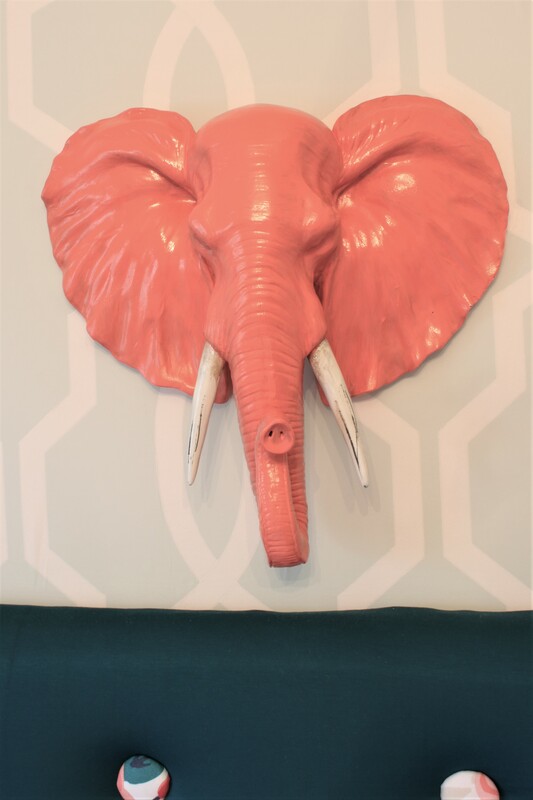 It used to be painted a lime green colour, but I matched the pinky coral tone in the floral fabric to a paint colour and went to town. This arrow artwork was a project I had completed awhile back and I simply added it to the new space since the colours were close enough to coordinate. 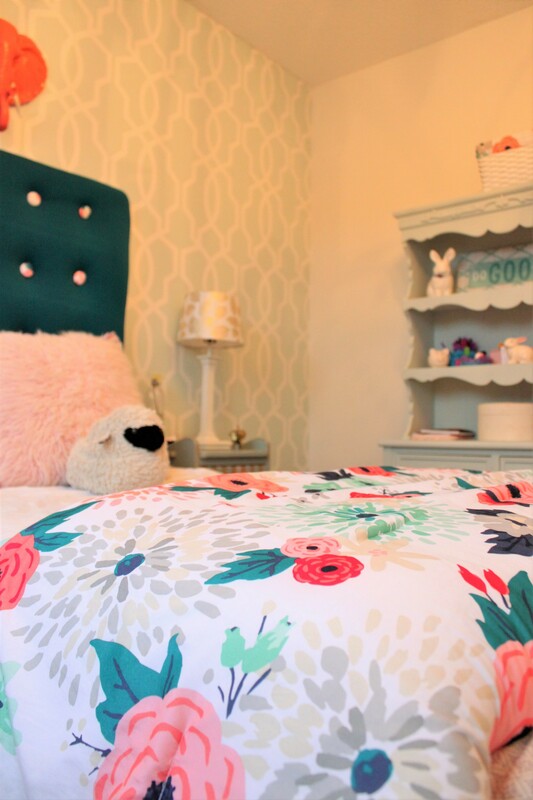 Link to the floral bedding please! Lovely color combination choose by you.I really like your ideas. That headboard is so much fun! My oldest would love a room like this. Definitely agree that needing sleep makes this whole ORC thing a challenge. So much to do…so little time! 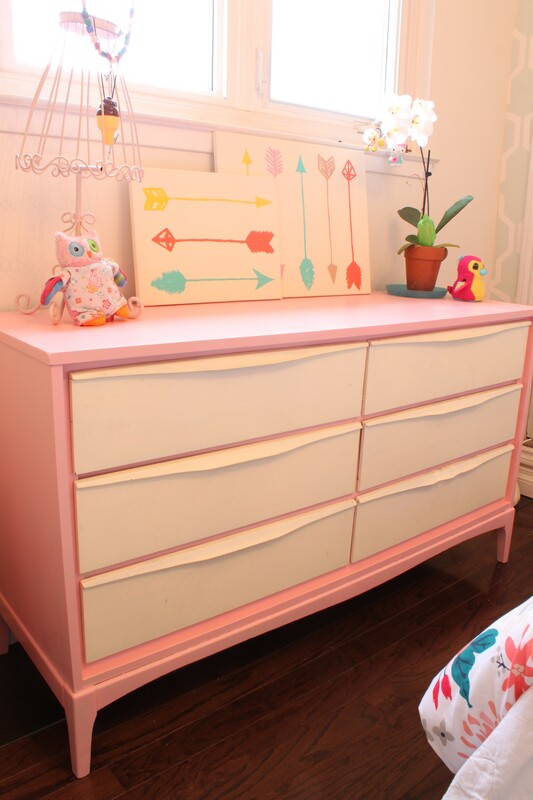 Wow, what a beautiful little girl room. She must be so happy each time she walks,into her roim, and never want to leave. The floral bedding is so pretty! I love it! The bedding is my favorite! What a bright and cheerful space you are creating. Oh that pattern on the bedspread is just fabulous! I love it! 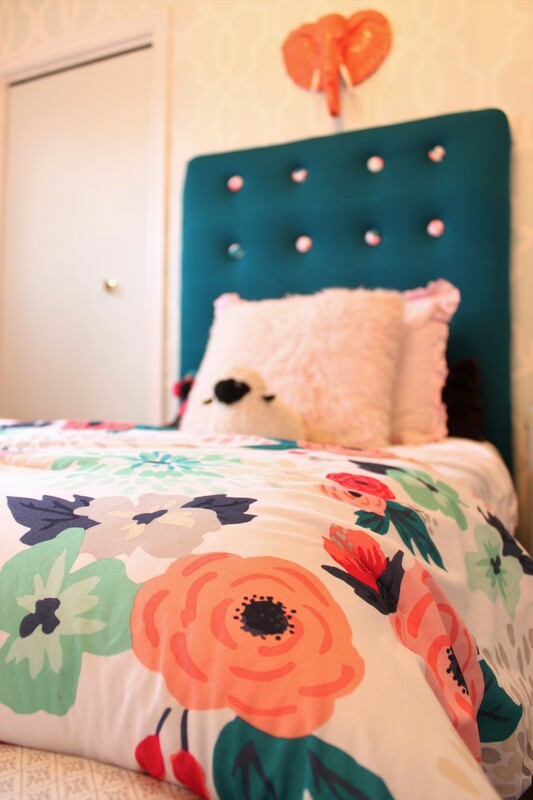 And Wow, that teal headboard is awesome! Thank you Kristen. I was concerned that the headboard was too dark at first, but I’m thinking now that it’s balancing out all the light and bright stuff. Yes!!! I actually went to my local garden centre and was told that they don’t have them either, but get asked all the time. It’s crazy how rare they are, right?